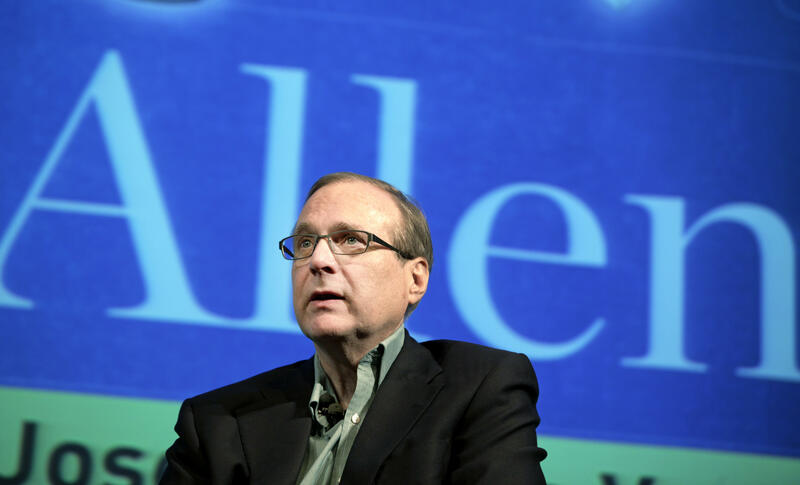 The death of Microsoft co-founder Paul G. Allen on Monday was due to complications from non-Hodgkin's lymphoma, according to a statement by his company, Vulcan Inc. Allen, who was also a global philanthropist and the owner of the Seattle Seahawks and Portland Trail Blazers, was 65. His death puts a spotlight on one of the most common cancers in the United States. Allen had battled the disease in 2009 but wrote on Twitter earlier this month that it had recently returned. Non-Hodgkin lymphoma accounts for about 4 percent of all cancers in the U.S. The American Cancer Society estimates about 75,000 people will be diagnosed with non-Hodgkin lymphoma this year, and about 19,900 people will die from it. The disease has hit celebrities and high-profile individuals in the past, including former first lady Jackie Kennedy, who was diagnosed with non-Hodgkin lymphoma in early 1994 and died of the disease a few months later. Actor Gene Wilder was successfully treated after being diagnosed with it in the late 1990s. He told CNN's Larry King Live in 2002 that he had "a unique form" of the disease that went into "complete remission" following chemotherapy and a stem-cell transplant. Wilder died in 2016 of complications from Alzheimer's disease. Non-Hodgkin lymphoma is a cancer that starts in white blood cells called lymphocytes, which are part of the body's immune system. It's a term used to describe many different types of lymphoma that all share some of the same characteristics. It is not the same as Hodgkin's lymphoma, which is treated differently. The main difference between the two types of cancer is in the specific lymphocyte involved in each. If a specific type of abnormal cancer cell called a Reed-Sternberg cell is detected, the lymphoma is classified as Hodgkin's. If the Reed-Sternberg cell is not present, the diagnosis is non-Hodgkin's. Lymphomas can start anywhere in the body where lymph tissue is found, including lymph nodes, bone marrow, the spleen, thymus, adenoids and tonsils, and the digestive tract. The precise cause of non-Hodgkin lymphoma has not yet been identified but doctors have found there are several risk factors. A diet that is high in meat and dietary fat increases the risk, along with exposure to certain pesticides or herbicides or taking immunosuppressant drugs in the aftermath of an organ transplant. Other risk factors include having an autoimmune disease, such as psoriasis, rheumatoid arthritis, or Sjofgren syndrome, or HIV/AIDS. Non-Hodgkin lymphoma can strike at any age, including children, but is more common in people over the age of 60. Men are at greater risk than women, and whites at greater risk than blacks, according to the American Cancer Society. What are the warning signs of non-Hodgkin lymphoma? Symptoms of non-Hodgkin lymphoma include fever, night sweats, unexplained weight loss, and swollen lymph glands in the neck, underarm, groin, or stomach. Some people feel very tired and experience skin rashes and/or pain in the chest, abdomen, or bones. As these can also be symptoms of many other conditions, experts recommend seeing a doctor if any of the signs or symptoms last longer than two weeks, or sooner if it's severe enough to impact daily life. Treatment for non-Hodgkin lymphoma varies, depending on type and stage of the lymphoma. Options can include chemotherapy, immunotherapy (which boosts the body's natural defenses to fight cancer), stem-cell transplants, and surgery. Targeted therapy drugs, in which specially tailored drugs are used to attack specific cancer cells, can also be an option for some people. Some cases of non-Hodgkin lymphoma are aggressive, while others are slow-growing, which makes it possible simply to watch and wait to see how they progress. Some indolent cases turn aggressive, and vice versa. Having a medical team monitor the cancer and its progression will inform each patient's treatment plan. What is the survival rate for non-Hodgkin lymphoma? According to the American Cancer Society, about 71 percent of people of all races with non-Hodgkin lymphoma are still alive five years after diagnosis. Children tend to fare better, with 87 percent living for at least five years after diagnosis.